As we charge into 2018, women are not only reclaiming our time. We are ready to reclaim our voices and our power. 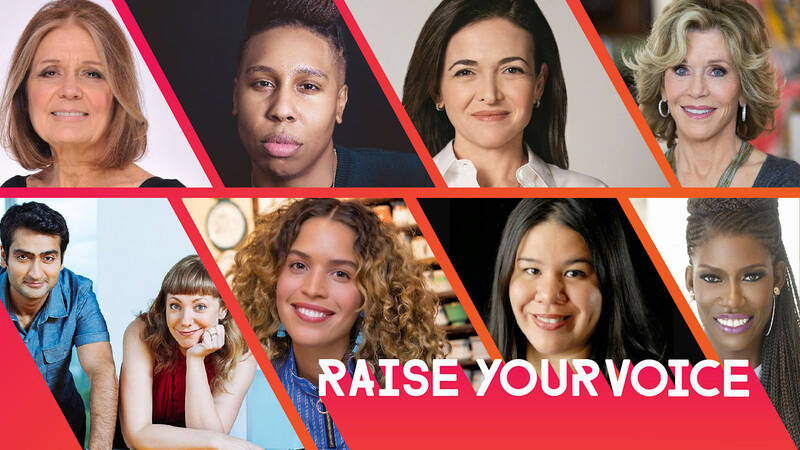 At the 2018 MAKERS Conference, fearless advocates for women's rights from tech, entertainment, business, and non-profits will come together Feb. 5 to 7 at NeueHouse Hollywood in Los Angeles to push the movement forward and take action. Outspoken changeMAKERS who will take the stage include Gloria Steinem, Jane Fonda, Lena Waithe, Emily V. Gordon and Kumail Nanjiani, Cleo Wade, Monica Ramirez, Jessica Biel, Lena Dunham, and more. Influential executives including Facebook COO Sheryl Sandberg and Uber Chief Brand Officer Bozoma Saint John will also join the movement and discuss how they are making impactful changes to their company culture. You can check out the full schedule of events at the 2018 MAKERS Conference here. "This isn't just a conference. This is history in the making. And we are proud to be leading the conversation towards real change," our fearless founder and executive producer Dyllan McGee says. "We stand in solidarity with those who have spoken out against sexual harassment. In support of them and all women fighting for equality on every front, we are ready to raise our voices louder than ever before." Now in its fourth year, the MAKERS Conference continues its mission to lead the modern feminist movement, uniting women across all industries, at every level around the issues that matter most. Along with amplifying the conversation around sexual harassment, MAKERS will continue to push for change on issues such as equal pay and diversity in the workplace while also celebrating the kickass women who are running for office, breaking ceilings, and lifting up other women. While the 2018 MAKERS Conference is sold out, you can still have a seat at the table. Join the movement by tuning in live on makers.com/conference or on our Facebook page starting Feb. 5. For more info, sign-up here. We have listened to #MeToo stories. We cheered for #TimesUp at the Golden Globes. Now get ready to #RaiseYourVoice, take action, and be the change you want to see in the world. For more information on recent speaker announcements, check here. For press inquiries, please contact press@makers.com.